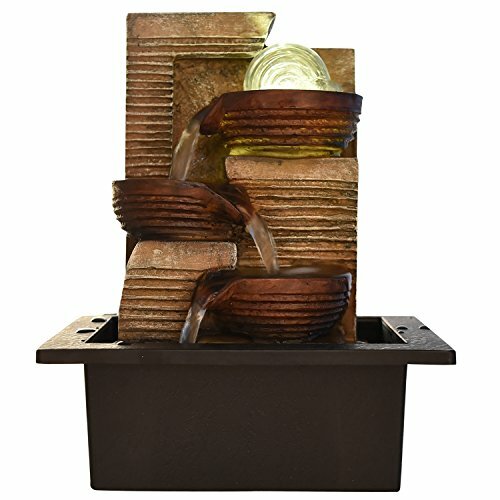 Kiara Polyston indoor/Outdoor natural looking LED light 3 Tier Water Fountain ~ Tabletop Fountains ~ Olivia Decor - decor for your home and office. 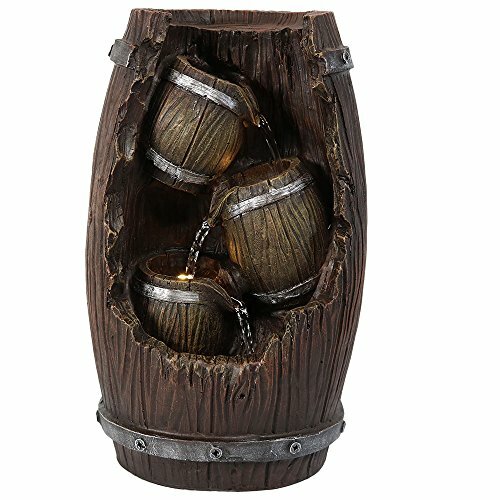 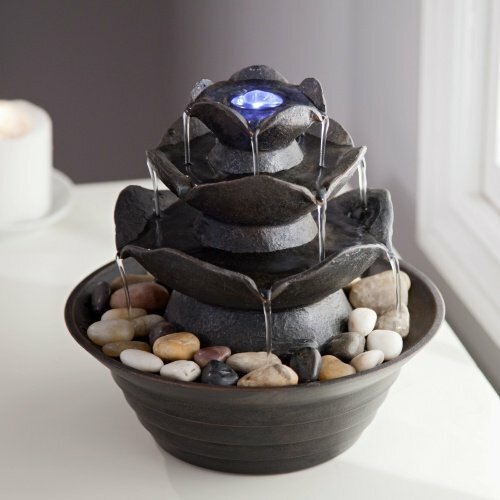 Liven up your place with this Adorable and Beautiful 3 tier LED light Water Fountain. 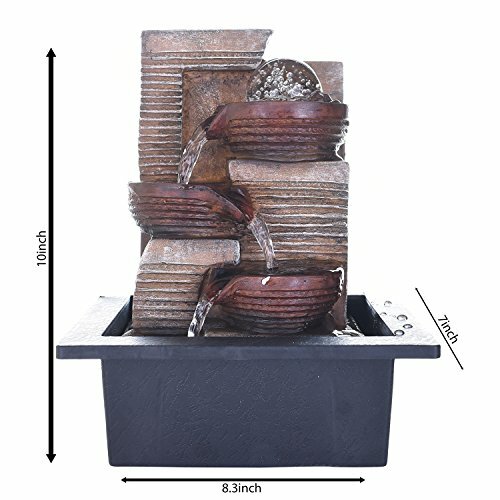 The Falling Water Indoor/Outdoor Fountain brings the relaxing presence of running water to your home or garden without the difficulty of plumbing. 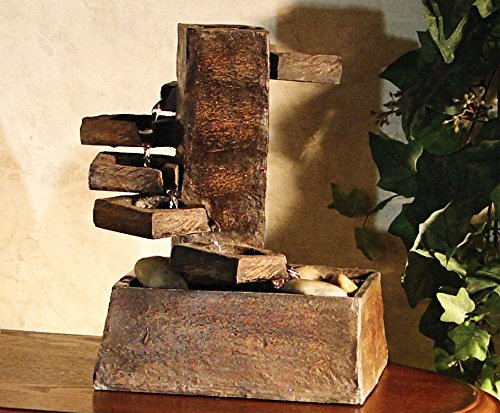 A pump pulls water back to the top so each droplet can limitless journey through the fountain. 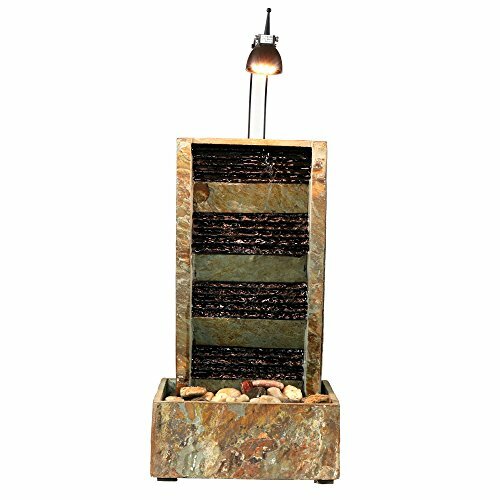 It contains 3 tiers with a natural, rough texture and White LED lighting has an elegant glow. 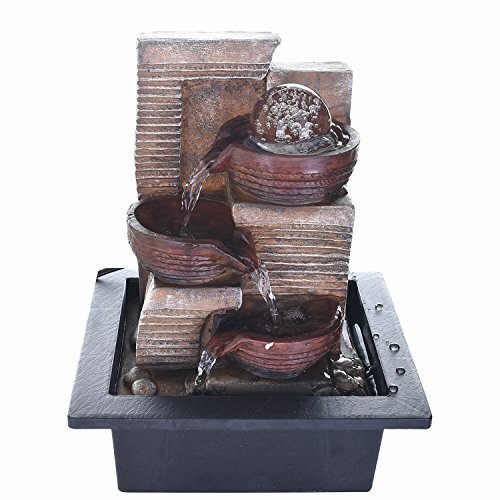 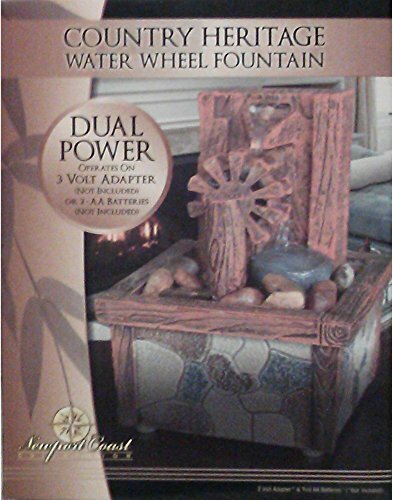 This beautiful fountain makes an affordable, inexpensive gift for any occasion, such as birthdays, retirement, housewarming celebrations, engagement parties, and anniversary gifts for parents, relatives, and friends and employee gift exchanges. 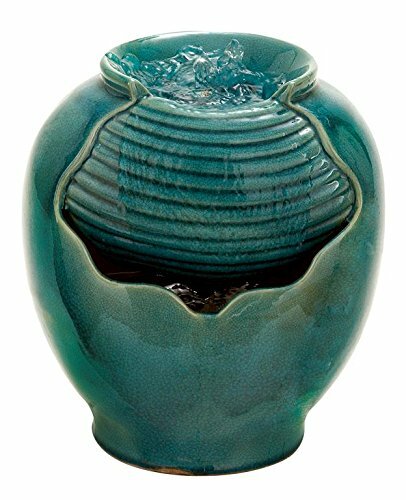 It's a sensual practice for personal relaxation by listening to the soothing word of flowing water. 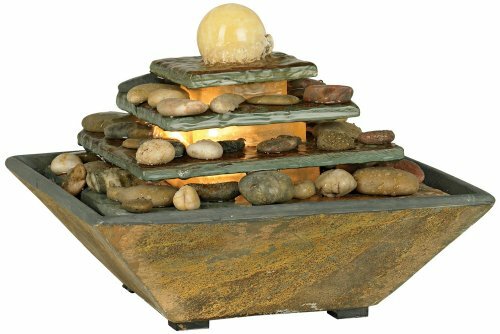 It will enhance any kitchen counter, table, fireplace, coffee table, dinner table, patio table, front desk, night stand, or top shelf. 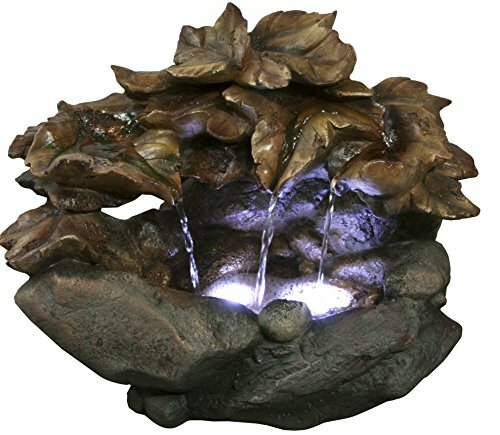 Intended for indoor use and outdoor usage is possible. 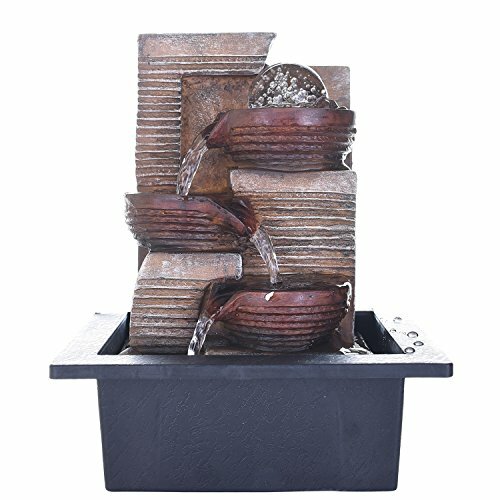 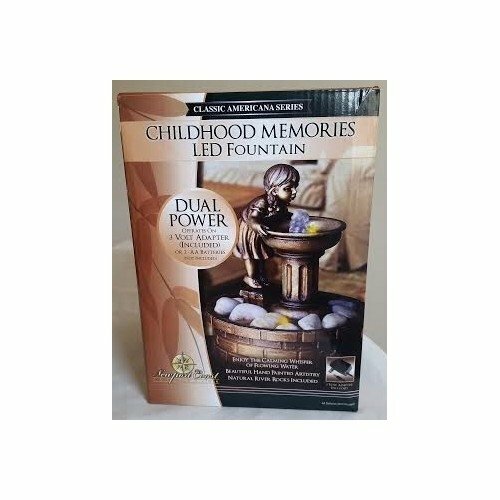 This table top fountain is constructed out of Polyston and is lightweight and easy to move. 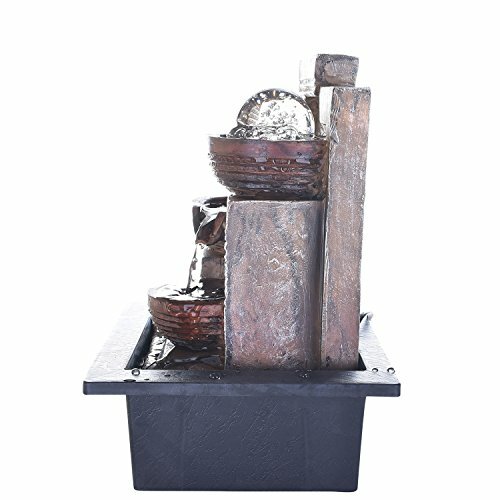 Perfect size of 23 x 25 x 25 cm. 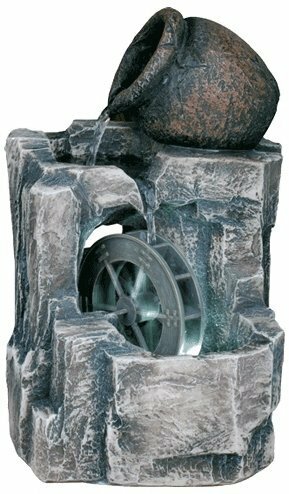 For longevity, drain, cover/store fountain during wintertime Check and tighten all electrical connectors at set up. 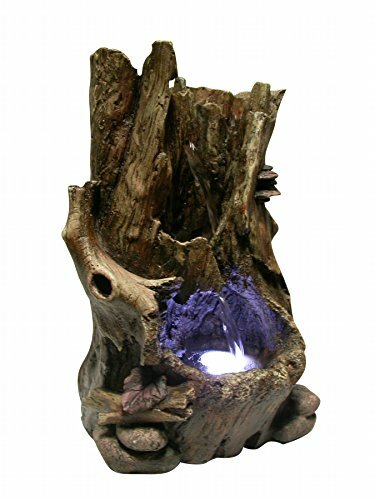 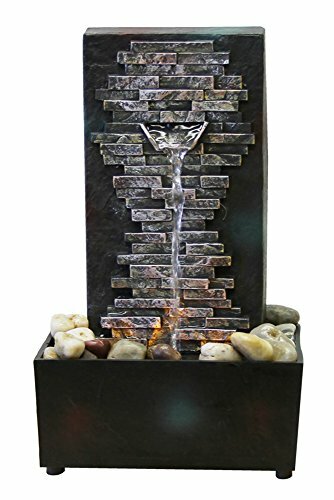 Alpine WIN940 Cascading Leaf Table Top Fountain, 10"